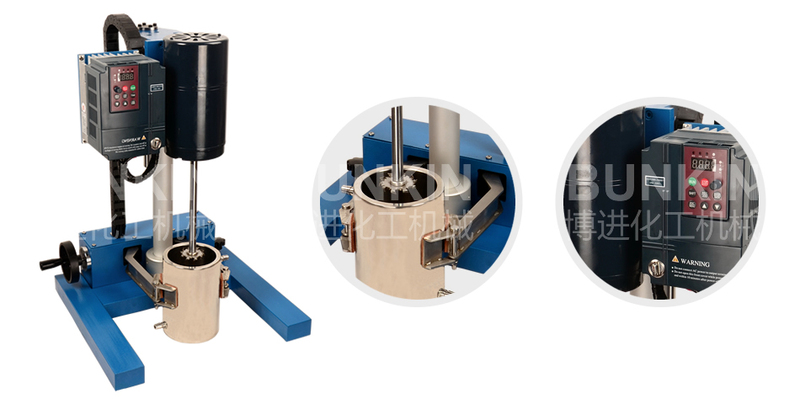 Lab Variable Speed Disperser_Anhui Bunkin Chemical Machinery Co.,LTD. 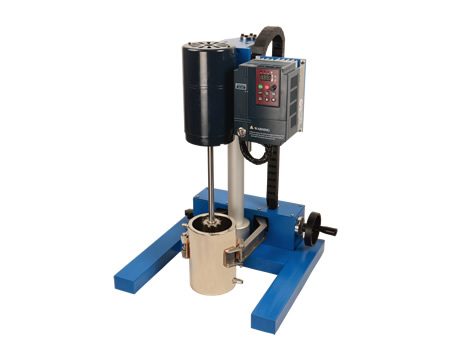 Lab High Speed Dissolver is multi-function dispersing machine with variable speed control. It's an ideal lab equipment to disperse and dissolve mixtures. Application Fields: Suitable for dispersing, mixing materials in industries such as biology, pharmacy, food, paint, ink, adhesives, pigment, fertilizer etc.. Applied materials: Suitable for all kinds of explosive nor flammable materials with viscosity less than 50000cps, solids content less than 60%; such as emulsion paint, industrial paint, water-based ink, etc.